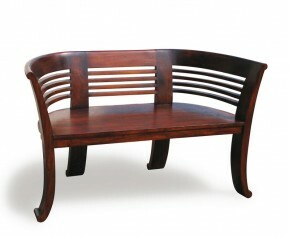 Enhance your home with style with our teak indoor benches. Crafted from the finest grade-A teak and sanded down for a smooth, sleek finish, our hallway benches are of the highest quality and extremely durable. Our indoor wooden benches are a perfect way of providing more seating for you and your guests in an elegant and refined fashion. 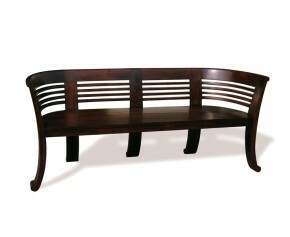 Modestly sized to fit any space, our teak indoor benches are sure to look stunning in any home. A popular choice in the home, reception area, library or board room, this stylish Kensington two seat deco bench, otherwise known as a tub bench is a modern interpretation of the traditional club sofa and offers an attractive focal point that would look stunning in any discerning home or public setting. A modern rendition of the traditional club sofa, this Kensington three seat tub bench works well to modernise existing indoor furniture and offers an attractive focal point that would stylish in any public setting or discerning home. A modern rendition of the stylish club sofa, this 3 seater outdoor bench works well to modernise existing garden furniture and offers a wonderful focal point in any public setting or discerning garden. These hallway benches boast a classic design that will compliment any existing furniture. 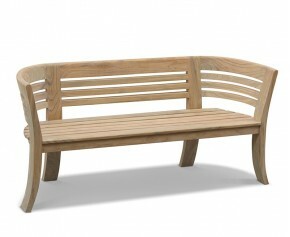 With a wide range of indoor wooden benches to choose from, you are bound to find your perfect teak indoor benches.